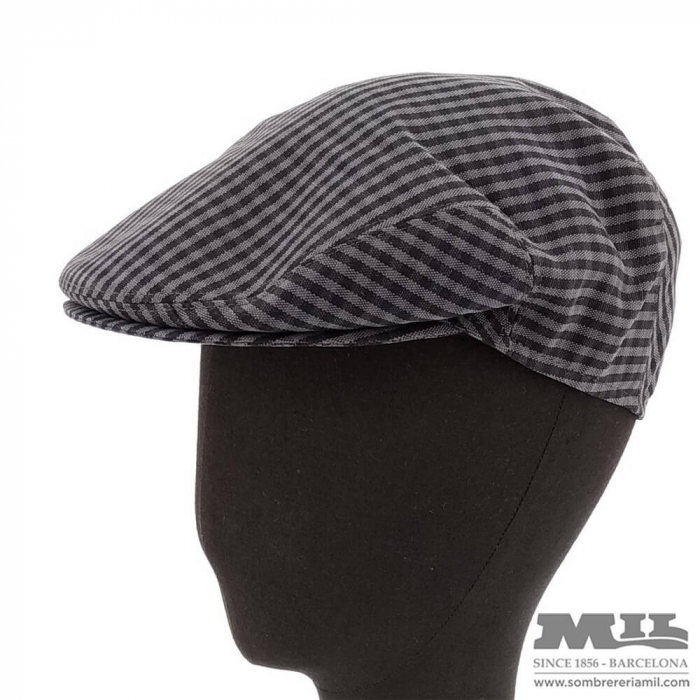 Fantastic flat cap for summer of a clasic style very light, foldable and breathable. Thanks to its lightness, flexibility and soft visor, you can keep it even in your pocket! This English cap by Verbano has a microperforated inner lining and it is made 100% with first quality cotton. W can say that is one of the most comfortable and fresh caps we have tried. Get your flat cap online with a discount on Sombrerería Mil, in Barcelona since 1856.